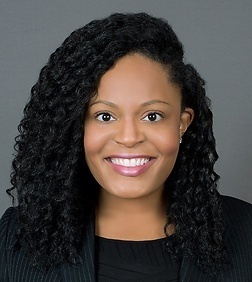 LaShanya R. Nash is a patent agent in the Intellectual Property Practice Group in the firm's San Diego (Del Mar) office. Ms. Nash specializes in patent application drafting and prosecution in the electrical, mechanical and computer software arts including wireless communications, information security, and computer networking. Ms. Nash also has experience in assisting in patent portfolio management and developing prosecution strategies. Previously, Ms. Nash was a patent agent for a boutique intellectual property law firm. Additionally, Ms. Nash was a patent examiner with the United States Patent & Trademark Office (USPTO) for over 9 years where she reviewed patent applications in the data security and computer networking technologies. She also has engineering industry experience, working as a satellite engineer with Lockheed Martin.